We Make the Childs future bright and shape the future right..
Children need to PLAY to be adaptable, constructive knowledge, we provide them books, uniforms creative play things to develop skills to solve, emotions, experiences, discover, challenge be healthy themselves laugh & have fun, learn to work, imagine together learn to lead, express, explore. We encourage kind hearted individuals to celebrate their memorable occasions with these children. 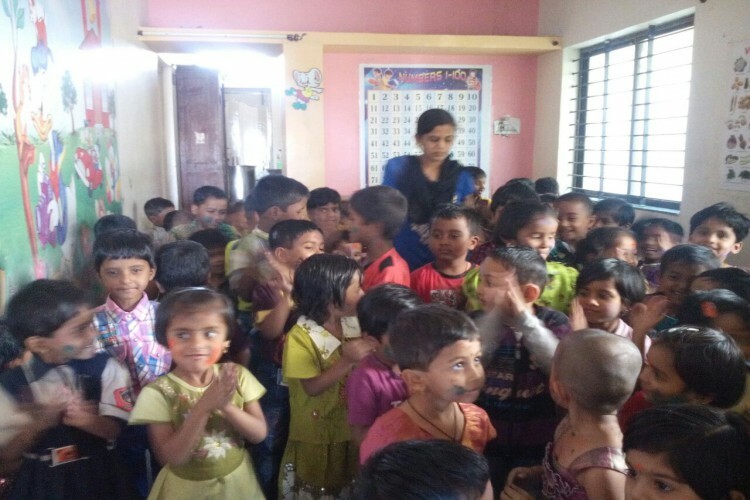 Our Vision is to help the needy with a proper support system where they can uninterruptedly continue their education and become an example in the society than becoming a treat. We understand your kind heart of helping the needy children which has lead us to ask you to support. We believe in today’s child tomorrows citizen, the greatest gifts you can give children are the roots of responsibility and the wings of independence. Your share could be as good as a donation for Bhima shankar vidya vardak sangh! Not everyone can afford to take care of their loved ones. Bhima shankar vidya vardak sangh's life can only be saved by donations made by kind people like you.